Conceptually, a psychological thriller about a chessmaster is nothing new: the story of an obsessive, analytical mind melding his life with his gaming strategy has appeared in a handful of major novels, from Vladimir Nabokov’s The Defense (1930, translated into English in 1964) to Roberto Bolano’s posthumously-released early novel The Third Reich (2010, translated into English in 2011). Chess requires a person to account for all possible outcomes of a decision, and it’s a relatively easy development to make a character govern their life with that same level of reasoning. Maurensig’s Alekhine strives to wholly devote his life to his game, but decisions from his past remain in play, circling around him towards an inevitable checkmate. 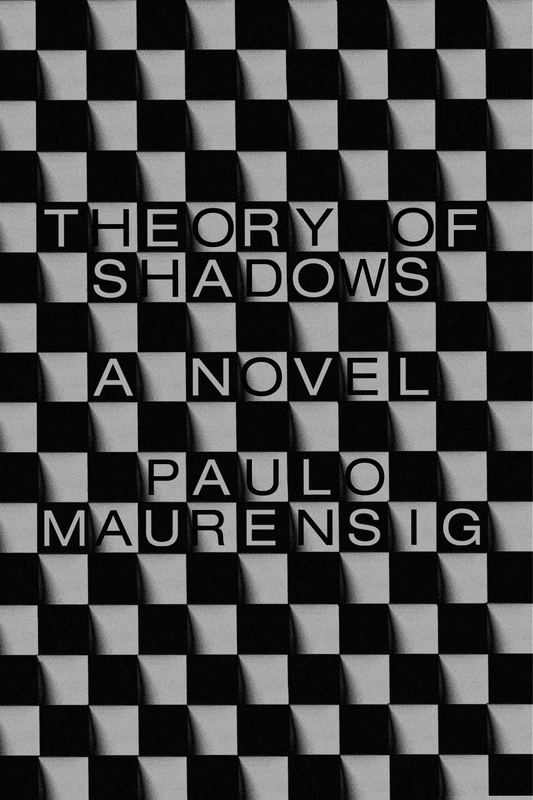 Alekhine’s emotional struggles throughout Theory of Shadows are chess-like because Maurensig presents them as such, and while this feels at times like an arbitrary coloring of the novel’s inner drama, Theory of Shadows manages to move beyond its simpler chess themes and grapple with some mesmerizing debates about art, ethics and philosophy. While at the Hotel do Parque, Alekhine befriends a Jewish violinist named David Neumann. The two men frequently slip into remarkable discussions about art and talent: Neumann’s music possesses an unquestionable artistry, but Alekhine believes his gaming to be on par with Neumann’s virtuosity. “All the arts share a common effort to dominate matter, to bring order to chaos,” Alekhine explains. “Technique comes to our aid to perform that task, but beyond that there is an additional factor that enables a work to rise to the level of art.” In the case of chess, he’s referring to his opponent’s game: “chess must come to grips with a magmatic mass that is constantly evolving.” Maurensig, through Alekhine, provides a revelatory vision of chess that effortlessly elevates the game to a fine art. 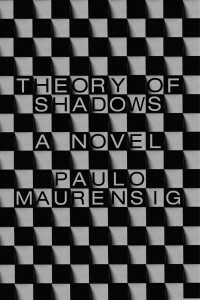 Yet, he explains, “there is always some detail whose presence is capable of altering the entire scheme of things.” Maurensig invites his readers to apply that sentiment to life outside the chessboard. For the world in 1946, with the Nuremberg Trials underway, those details are all mired in the unthinkable previous years of World War II. Alekhine’s wartime years were particularly complicated, as chess was considered a way of showcasing a nation’s strategic power. Alekhine made a decision to not let his personal politics get in the way of his gaming, and he would play however he needed to help his family and move up the ranks towards world champion. 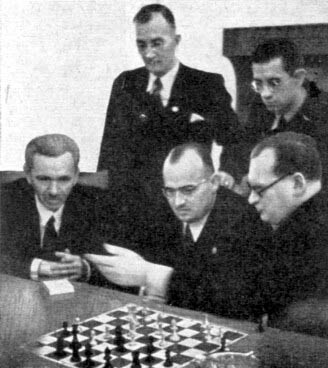 Photos exist of Alekhine seated with Hans Frank, Hitler’s personal lawyer, and he was known to associate at one time with Goebbels and other major players of the Nazi Party. When Alekhine’s match with Botvinnik is announced, he re-enters the media’s sightlines and these past indiscretions are revisited with scrutiny. Theory of Shadows is a remarkable novel capable of intellectual heights that far surpass the life-as-chess allegory upon which it is built. The novel is a two-fold achievement: not only does it transcend the game board with philosophies that can be applied to artistic pursuits of all sorts, from fine art to music and literature, Maurensig shows the inescapably firm line between any art and its historical context. Art cannot thrive in a vacuum, but must coexist with its history.